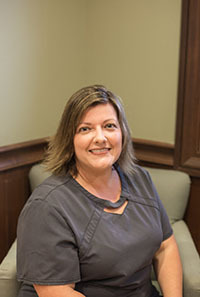 Jennifer has been in the dental field for 19 years beginning as a sterilization technician, Dental Assistant, Financial & Patient Coordinator, and Office Manager. She recently received her fellowship from AADOM (American Association of Dental Office Management). She oversees Patient Services and maintains daily operations for the practice. She graduated from Gulf Coast Community College with training in Expanded Functions and Radiology. She also is a member of FEMORS (Florida Emergency Mortuary Response System) and has been a Forensic Dental Assistant since 2003. Jennifer and her husband Brent have 3 children, their daughter Alexis is studying nursing at Florida Gulf Coast University, son Sean is currently serving in the US Navy, and Shayne is attending the Villages Charter School. In her free time Jennifer enjoys spending time with family and friends, trips to our beautiful Florida beaches, fishing, and riding atv's. "We shall pass through life but once, let us show kindness, as we will never pass this way again." Jill has been an enthusiastic Dental Assistant since 1999. She moved to Central Florida from Kokomo Indiana (Go Hoosiers!!). Jill earned her Associates Degree and Certificate in Dental Assisting from Indiana University Kokoma. We were fortunate to welcome Jill to our team in 2016. Continuing education is important to Jill, she has taken several courses at LVI in Las Vegas along with coursework specializing in cosmetic dentistry. It is very rewarding to help people improve thier smile!! When Jill is at home she enjoys spending time with her husband who is a Wild Land Firefighter, her four children, and her black lab. She also enjoys spending time with family and friends on the lake, youth activities, and annual family trips. "Be adaptable, flexible, and never stop learning. The rate of change will never stop and niether should you." 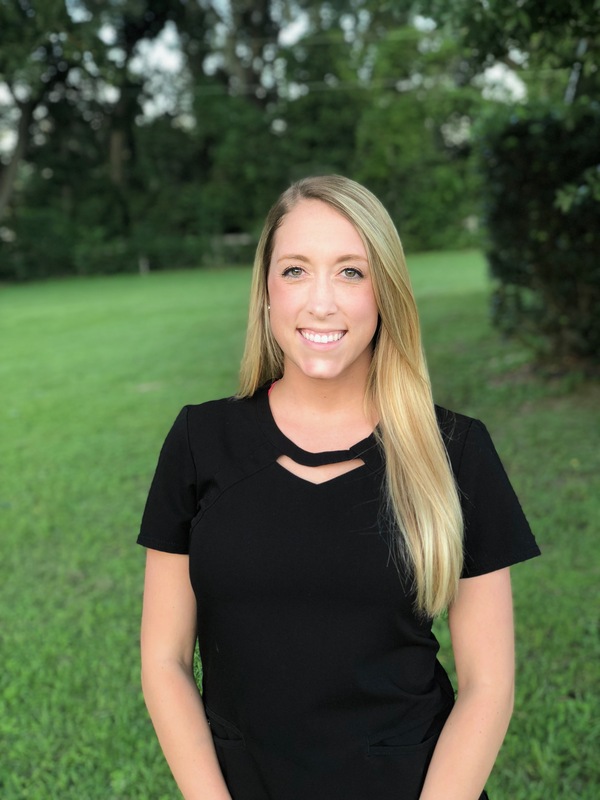 Ciara earned her Expanded Functions Dental Assisting Certification and her Dental Radiology Certification from Greater Orlando Dental Assisting School in 2014 and has been working along side of Doctor Pellosie and Doctor Cohrn ever since. Ciara enjoys working with our dentists on advanced dental procedures including restoring implants and aesthetic cases. While maintaining up-to-date protocols on OSHA and HIPPA training, Ciara is CPR certified, as well as a certified phlebotomist. She has a passion for dentistry and is willing to go above and beyond to make our patients feel comfortable and love their smiles. 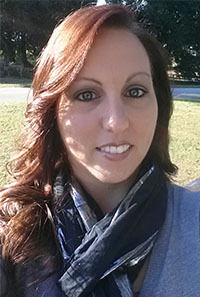 Ciara resides in Summerfield, with her husband, son, and yellow lab. Ciara’s husband is a US Army Veteran, they moved here from Fort Bliss in El Paso, TX after his tour in Afghanistan. 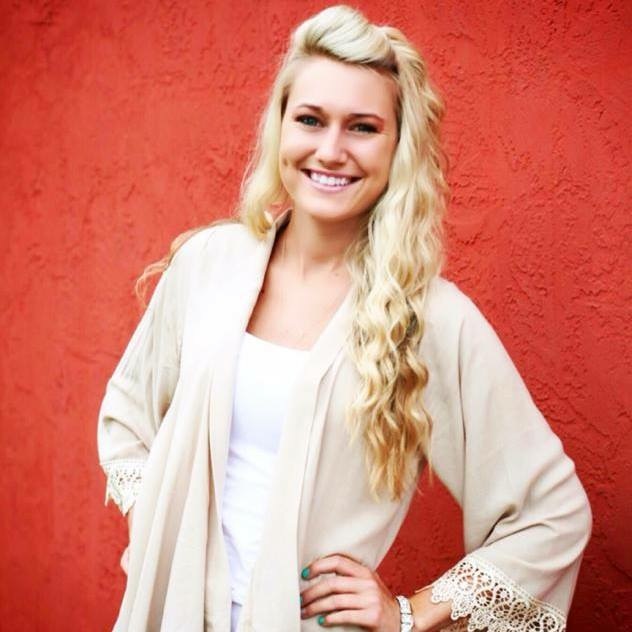 Ciara enjoys any outdoor activities including going to the beach, fishing, and trail riding in her Jeep. Hi! My name is Jordian, I am a Florida native, and feel lucky to call this home. I graduated from Greater Orlando Dental Assisting school where I received my Expanded Functions Dental Assisting and radiology certification. I have been a Dental assistant for 3 years. I love being a dental assistant and helping you maintain and achieve beautiful and healthy smiles. 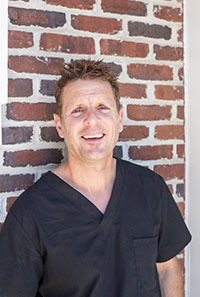 Dr. Pellosie and Dr. Cohrn are fantastic dentists to work with. I enjoy working with the both of them and the rest of my team everyday. My free time is spent with my husband and our two girls, Mackenzie and Blakely. We enjoy camping, boating, and cookouts with friends and family.